Roche Oil Company currently operates a fuel wholesale/retail business at the site. 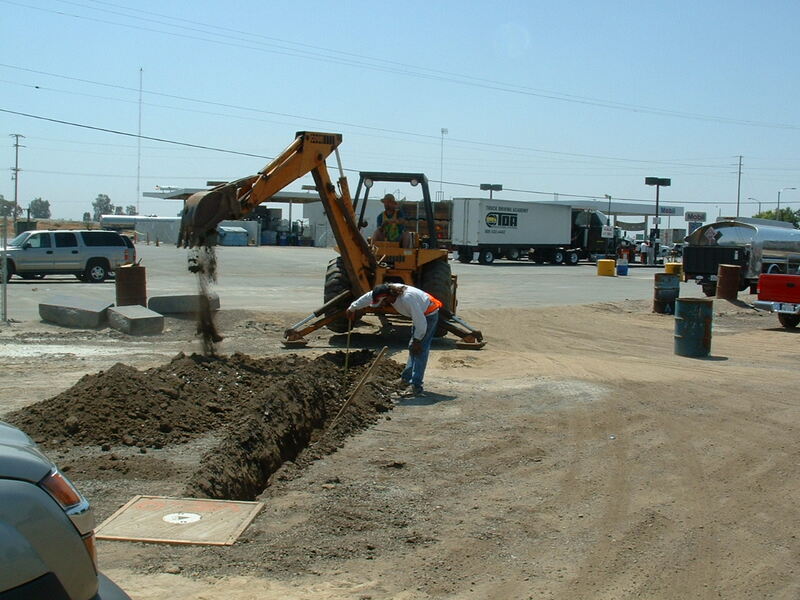 In 1995, five underground storage tanks and associated dispensers and piping were removed from the property. Soil samples that were collected at various locations under the tanks, dispensers and piping runs tested positive for hydrocarbons. Benzene concentrations ranged from non-detect to 630 mg/Kg and TPHg ranged between 3,000 and 43,000 mg/Kg. The highest concentrations occurred at 35 feet. In the three years following the tank removal and contamination discovery, several borings were made to define the lateral and vertical extent of the contamination plume. It was found that the plume spread over an area approximately 90 feet by 75 feet horizontally, and as deep as 95 feet below ground surface (bgs). A soil vapor extraction (SVE) system was operated from May 1998 until May 2004 and is estimated to have removed from approximately 67 ,000 to 74,000 pounds of hydrocarbons. An upgraded SVE system with air sparging (AS) system was operated from May 2004 until January 2006. The upgraded system removed approximately 10,000 to 13,000 lbs. of hydrocarbons. During this time, ongoing groundwater monitoring had been conducted in order to observe changes in contaminant concentrations at the site. By 2011, concentrations had been reduced enough that the State Water Board issued a closure letter (dated May 4, 2011), signifying the end of remedial activities at the site.